Spring is almost here, and that means more time spent outdoors! 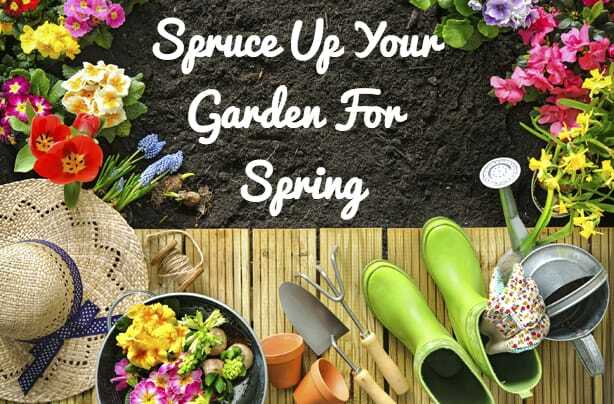 It’s the perfect time to start thinking about ways to add some more life into your home and garden after the dull winter months. Get your spring cleaning out of the way. If you’ve forgotten about your garden during the winter months, take the time to clean it out so you can jump right in once spring hits. You’ll want to remove any old, dead plants before you start planting new ones. Make a plan! Figure out what you like and don’t like, and what’s worked for your garden in the past. Decide if there’s anything new you’d like to add. Consider planting some flowers to brighten up your space. 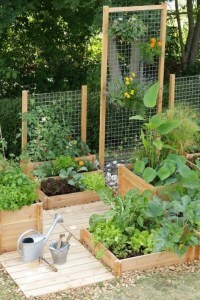 If you have a smaller garden, get creative to create more space. Try hanging pots or going vertical with a trellis. Add in some DIY creativity. Brainstorm what you already have that you could use as garden accessories. Create a Pinterest board and research new ideas. Bring life back to old structures and fences with a fresh coat of paint. View some ideas on our Pinterest Board. Visit a local nursery for all of your garden needs. Nature’s Harmony in Manns Harbor has a great selection of plants, garden accessories, pots, and staff that can help you with any questions about your garden to help you out during this process! 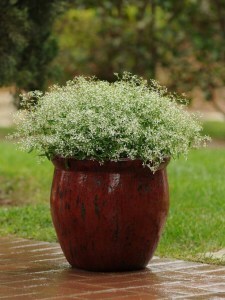 Potted plants that can take the heat! 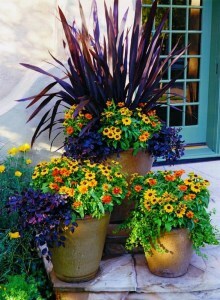 Adding potted plants to your outdoor landscape can really add depth and color. Be sure to choose plants that can withstand the direct sun and heat. Try the euphorbia hybrids (pictured). This group of plants pumps love full/hot sun and produces white blooms non-stop through the season, adding sparkle to containers or in-ground planting beds. If you are a Dare County resident and wish to learn more about gardening, there are some great local resources. OBX Living Series- From composting to canning, the OBX Living Series connects families with nature, nutrition, and teach life skills in a practical and fun way. Read more here. Greenline-For advice or specific gardening questions: You can reach Greenline by simply emailing your gardening questions to greenlineobx@gmail.com or calling 473-4290 or visiting them at Baum Center from 9Am – 11AM on Wednesdays. Read more here.